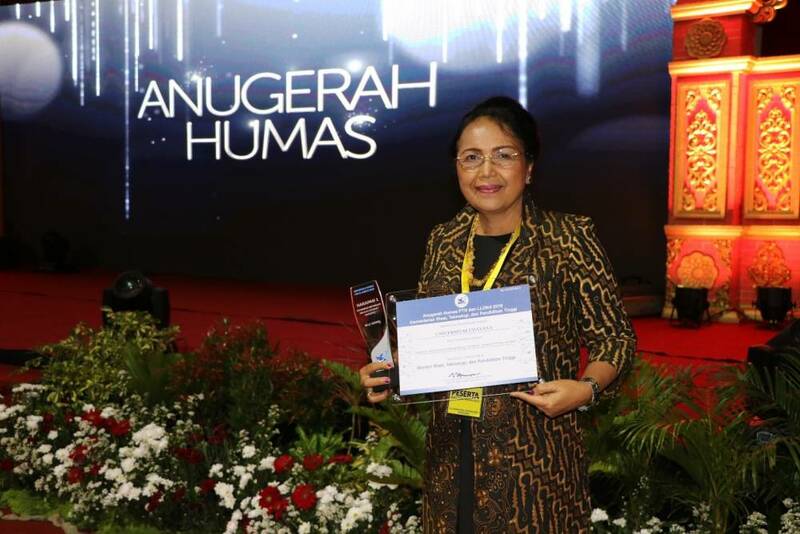 Semarang - The Ministry of Research, Technology and Higher Education (Kemenristekdikti) gives Public Relations (PTN) and Higher Education Service Institutions (LLDikti) Public Relations Award as an appreciation for the performance of Public Relations of Higher Education. 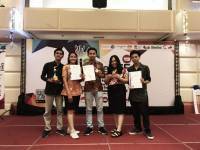 In the event that was held at Diponegoro University (03/01), the Udayana University Website won the Hope Award I for Information Services through the Internet (Website) for the BLU / Satker PTN categories. The assessment aspects for Public Relations Awards include the quality of information services through the internet (website), social media, and media relations. 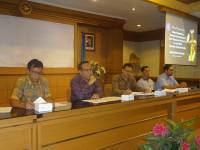 The event which was held by the Ministry of Research and Technology's Public Communication and Cooperation Bureau (KSKP) involved an independent and competent jury consisting of President's Special Staff for Communication Adita Irawati Institution, Strategic Digital Nukman Luthfie, and Nagaru Communication Founder Association Member Dian Agustine Nuriman. Public Relations of PTN and LLDikti in carrying out their duties disseminate ministry programs and absorb community aspirations, as well as a reference for determining the direction of institutional policy. For this reason, public relations must carry out the main functions of public relations, such as planning, compiling and distributing information through mass media, new media, and exhibitions. "The awarding of this award is expected to encourage public relations staff of PTN and LLDikti to work more creatively. The hope is that selected PTNs and LLDikti can motivate other public relations to work better. For those who have not succeeded, they will continue to work and provide the best performance, "said Head of KSKP Bureau Nada Marsudi.